On a national level, increases in rents, soaring prices of goods, a cheaper Syrian workforce and the ballooning public debt last year, which led to a reduction in available capital for investment and increased risk factors, continued to present challenges for the hospitality sector. Last but not least, the surprise resignation of Prime Minister Saad Hariri last November, which was later withdrawn, raised questions about its potential adverse impact. With marked resilience and against a challenging backdrop, the tourism and hospitality sectors not only held their own in 2017, but produced highly impressive performances. 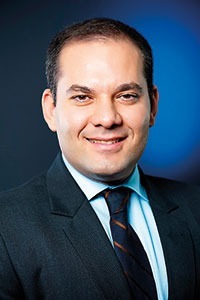 Avedis Guidanian, the minister of tourism, described the year 2017 as Lebanon’s second best for tourism since 1951, noting that a total of 2 million passengers passed through Beirut Rafic Hariri International Airport in the 12-month period and hotel occupancy rates reached 65 percent during the holidays. According to the World Travel & Tourism Council (WTTC), the sector’s total contribution to the economy reached USD 9.3 billion or 18.4 percent of GDP, with this figure expected to rise by 5.2 percent in 2018. Spending by visitors generated USD 6.9 billion, representing 48.5 percent of total expenditure in 2017. Figures suggest that spending could grow by an estimated 7.8 percent in 2018, on the back of an anticipated rise in international visitor numbers, which are expected to reach 1.95 million. Beirut’s hotel occupancy rate rose 4 percent in 2017 year-on-year (y-o-y) to reach 64 percent, according to EY’s Hotel Benchmark Survey. The average room rate and the revenue per room increased by 7 percent and 15 percent y-o-y to reach USD 151 and USD 96 respectively. 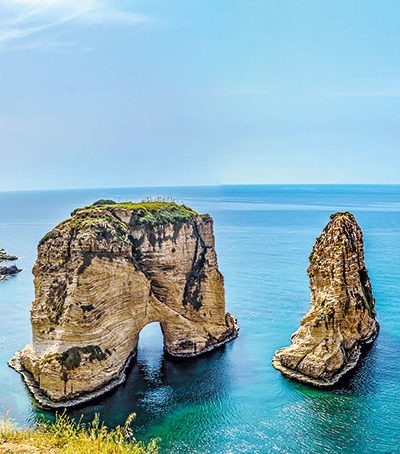 The only dip took place in November, when Prime Minister Hariri announced his resignation, with the result that hotel occupancy rates slipped to 54 percent, down by 9 percentage points on the same period in 2016. The outlook could brighten further this year, if and when Gulf countries lift their travel restrictions, which would have an immediate impact on visitor numbers and spending. The authorities also have major plans in the pipeline to support the industry, including significantly increasing capacity at the airport. Prime Minister Hariri announced recently that the facility’s expansion would allow it to accommodate an additional 5 million passengers annually, up from its current capacity levels of around 6 million. The airport is currently struggling to cope with traffic volumes, having registered a record 8.3 million passengers in 2017. On the political side, all eyes were on the general elections in May, with the business community eagerly awaiting the outcome and its implications. News that Lebanon had received pledges worth billions at the Paris conference of international donors in April to support its ailing economy will provide some reassurance for business leaders. The country has a lengthy track record for showing resilience amid recurring political and economic woes; a characteristic that hasn’t gone unnoticed by the WTTC, which expects the industry’s contribution to GDP to reach 23.7 percent by 2028.